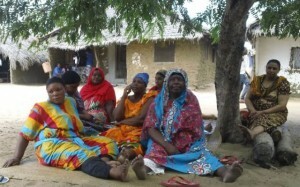 Tanzania – NO to the eviction of Uvinje villagers, respect communities sensitive to conservation! Following the recent election of President Magufuli, who is known to be a proactive reformer, the Consortium has sent him a letter welcoming him to power and urging him to direct his agencies to urgently resolve the matter of Uvinje in a fair and practical manner that puts the interests of ordinary and poor citizens first. We have stressed that any delegation that is sent to investigate the case should be independently led and advised. The Consortium has just submitted a fourth letter to the President of Tanzania concerning the proposed eviction of villagers from Uvinje. The letter congratulates the President on his decision to revisit the issue through redrawing the Park boundaries in absolute accordance with the letter of Tanzanian law, but urges him to remain mindful that failure to attend to local land rights, has many times proven counter-productive to conservation. As no answers were received from the first letter, and as we are now critically close to negative outcomes, a follow up letter was sent today to the government of Tanzania. This call has been forwarded in Tanzanian Press here. The residents of Uvinje face forced eviction from their land and homes ecause the Tanzania National Park Authority (TANAPA) has redrawn its boundary lines and unilaterally gazetted Uvinje’s present and ancestral lands to extend the coverage of Saadani National Park. In 1965, the Saadani village leaders themselves approached the Director of Wildlife to request support to protect local wildlife that was being indiscriminately hunted by outsiders. The Saadani Game Reserve (SGR) was created, and officially gazetted by the Wildlife Division in 1974. The community thus voluntarily contributed over 66% of their original lands to the Reserve, including voluntarily vacating some smaller sub-villages, close to the better rangelands where wildlife found important habitats. In exchange, the community was promised the retention in perpetuity of the coastal areas where their main villages, including Uvinje, are situated. In the 1990s, without involving or consulting the local communities, TANAPA redrew the boundaries of the Saadani Game Reserve to include the totality of the Uvinje and Porokanya sub-villages and a portion of the remaining Saadani village lands. In 2006, an official investigation by the Commissioner of Bagamoyo District and the Regional Commissioner of the Coastal Region into the status of the village lands ruled firmly in favour of the villagers. 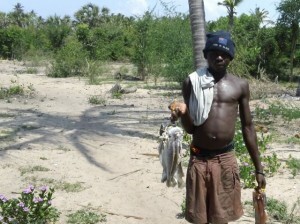 In late 2011, however, TANAPA and a new Bagamoyo District Commissioner insisted that the villagers were to relocate. In June 2014 government officials and policemen attempted to start the expropriation of the Uvinje community’s lands. There have also been attempts to persuade Uvinje villagers to accept compensation, which legitimate members of the community have steadfastly rejected. Now, recent independent research set out the full history of the status of the lands in question, including expert spatial analysis of relevant maps and boundary descriptions. more than 3% of the country’s land area is under 38 Wildlife Management Areas— communal lands set aside by 148 villages exclusively as habitat for wildlife, engaging active contributions to conservation by more than 440,000 people. The Consortium appeals for amicable dialogue between State and the villagers of Uvinje and the seeking of a mutual agreement possibly via one of the many constructive options that exist, in Tanzania, to secure and conserve village land and natural resources. The Wildlife Conservation Games Reserves Order, Section 8. Official Gazette. G.N. No. 275 of 1974. Spatial Analysis on extent and location of Saadani village’s land gazetted as park land. Pre and post Park establishment official communications, from District and village level authorities, addressing multiple issues relating to Park claims to village land. Letter from the Bagamoyo District Commissioner to the Head of the Saadani National Park. December 1, 2006. This letter addressed to TANAPA describes the Regional Commissioner’s orders that Uvinje residents should not be moved and that their land rights should be reinstated. Documentation relating to confusion in identification of beneficiaries of compensation. Independent Research: Case Study Report: Uvinje Village & the Saadani National Park Tanzania, May 2014, Alejandra Orozco, Coastal Resource Analysis Lab, University of Victoria; and Environmental Evaluation For Tourism Development in the Saadani Game Reserve, February 1997, Institute of Resource Assessment, UDSM, commissioned by the Wildlife Division and the Ministry of Natural Resources & Tourism. Follow this link to read the website dedicated to this case. A lot of detailed information, notably a spatial analysis of the case can be found in it. Follow and support the Uvinje struggle for their rights in their Facebook page! You can also visit the Just Conservation.org blog on the case.